Are you willing to do what it takes to flourish? The key is to create a resilient and innovative organization. Looking to strengthen your culture in this age of disruption? We believe that culture is the root system of your organization, without strong and healthy roots, your organization cannot grow or flourish. A thriving culture consists of a passionate mission, compelling vision, core values, and strong beliefs. Return on Energy can help you lead in disruptive times. Learn how to take your mission, vision, and values off the walls and walking your halls in powerful and practical ways. Looking to increase engagement and innovation? It begins by focusing on your organizational climate. Our definition of a healthy & innovative climate is an environment that brings out the best of people’s behaviours, attitudes, strengths, and feelings. Return on Energy can help you understand the key success factors of teaming in an age of disruption. Creating safe spaces for conflicting ideas to collide, sparking creative action. A workplace where individuals and teams are energized, cooperate, collaborate, innovate and strive for excellence. Looking to improve communications in your workplace? What if all your leaders and staff knew how to fuel productive and meaning engagement? Engaging in energizing conversations at work requires both skill and art. Return on Energy can help by introducing the two powerful skills to positively reframe from what you don’t want to what you do want AND teaching you how to craft and ask generative questions. When you use these two powerful tools, you engage in Conversations Worth Having. 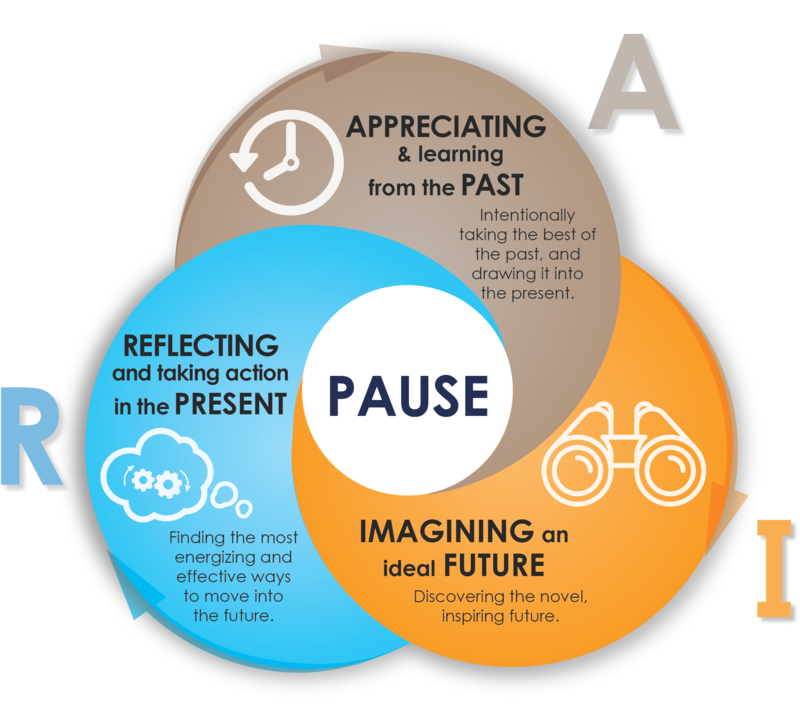 Learn how to use our AIR framework to guide one-on-one conversations, small groups meetings, or strategic convening. Discover ways to bring the whole system into the conversation. Weatherhead School of Business, Case Western University.